Collaboration tool designed for small groups. Is there a better alternative to Kickoff? 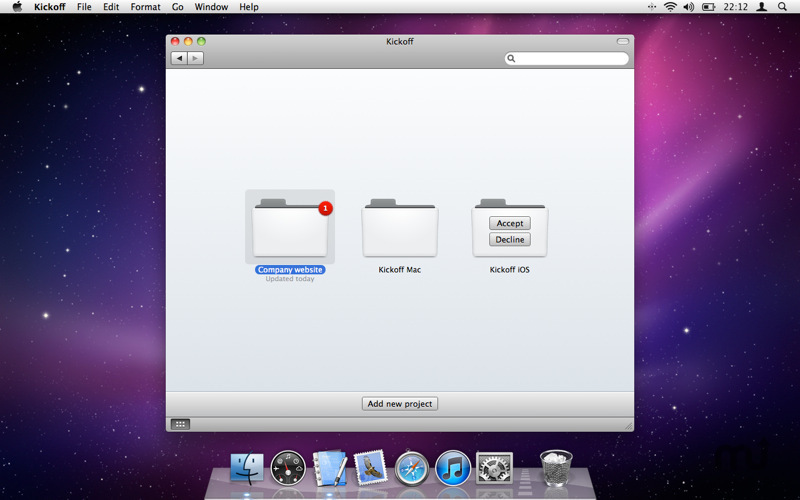 Is Kickoff really the best app in Project Management category? Will Kickoff work good on macOS 10.13.4? 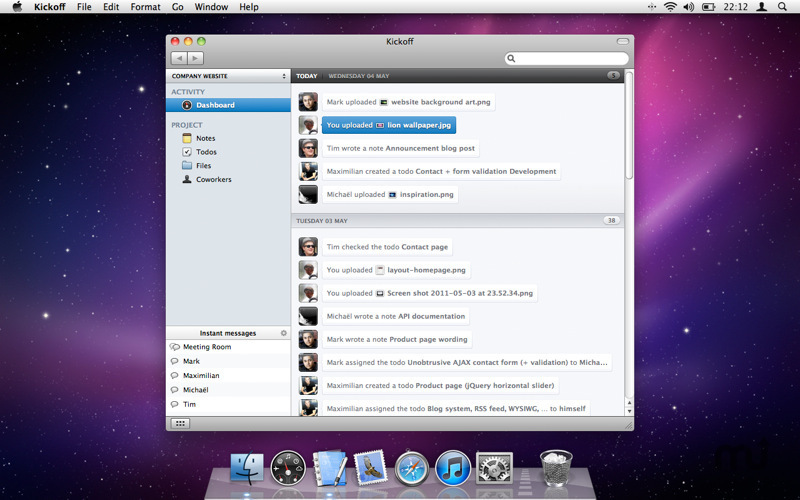 Kickoff is a collaboration tool designed for small groups. It is free to use for clients and coworkers joining existing projects. They can contribute for free, forever and without any limitations. Creating new projects requires a paying plan that you can subscribe to directly from the app. You can upgrade, downgrade or cancel your plan at any time. Additionally, everybody starts with a 15-day free trial to test Kickoff without limitations. Note: The downloadable version is 1.4.1. 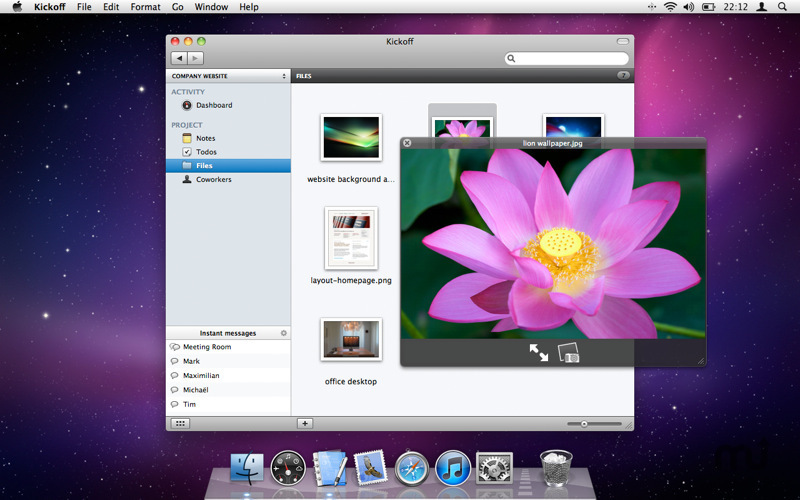 The Mac App Store version is currently 2.0. Kickoff syncs everything over the air in realtime and it's available both online and offline. 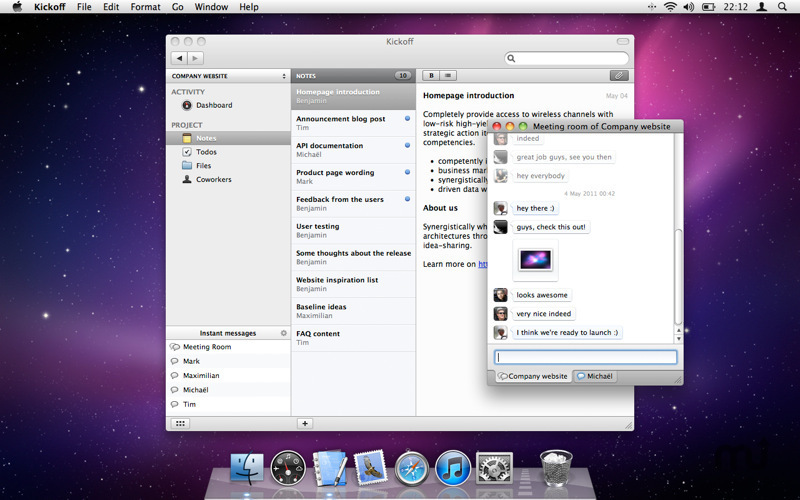 It is completely integrated to your Mac environment so you can benefit from the native behavior you're used to such as drag and drops, dock notifications, quicklook and so on. 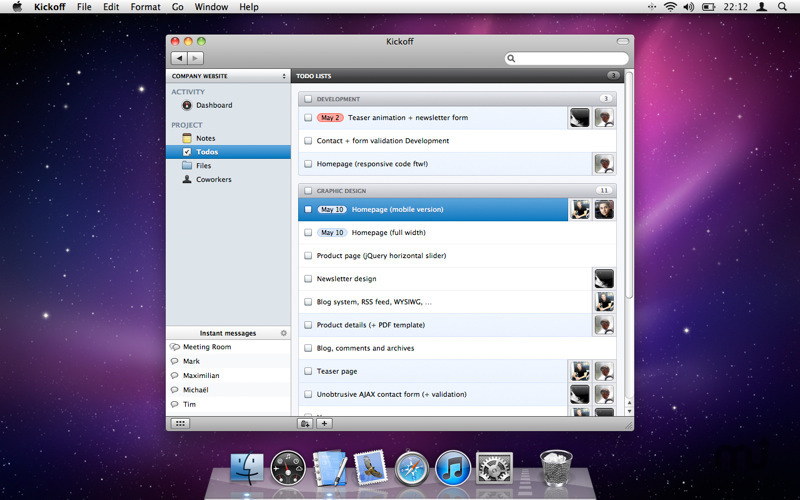 Kickoff offers the right tools to simplify your teamwork.